The actress has already issued an apology on Twitter. Priyanka Chopra’s American TV show was recently trolled for showing a Hindu character as the perpetrator of a terror attempt in Manhattan. As soon as this particular episode of Quantico aired, Twitterati, as usual, started trolling the makers and Priyanka Chopra. Days after the merciless trolling, Priyanka finally took to Twitter to apologize. The show makers even issued a statement in defense of their lead actress. If u really want to know how to become anti nationalist nd anti hindu ...don't forget to watch priyanka chopra's latest episode of Quantico..she is more dangerous thn those terrorist who hav weapons in their hands nd killing hindus..#ShameonyouPriyankaChopra ???????? U left akshay kumar for Amrish puri's money and your Hindu values for some dollars. 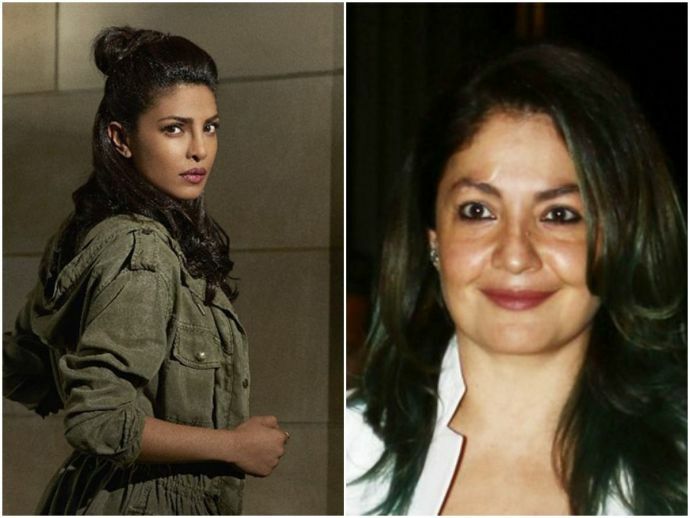 Now, actor and filmmaker Pooja Bhatt has come to Priyanka's rescue and has slammed the social media trolls. Pooja is one of the very few celebrities who has come out in support of Priyanka.